Manufactured by G-Code for Haley Strategic Partners. INCOG is a joint project between Haley Strategic Partners and G-Code Holsters. 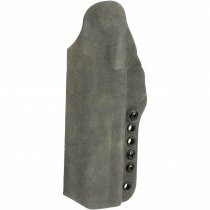 The INCOG ECLIPSE is a minimum bulk, multi-positional, deep concealment holster. Its distinctive features enable the concealed carry of a handgun from a variety of carry positions while facilitating the acquisition of a full firing grip on the weapon prior to the draw. Inherent are adjustments in the depth of carry, angle of carry, the position of carry and security of carry. Adjustments are supported via the unique modular mounting points on the holster and the use of variable mounting components. Combined they maximize function respective to the users: body type, deployment tactics and personal preferences. 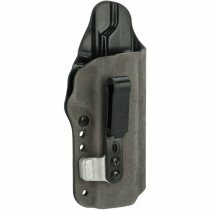 The holster is adaptive to varying operational environments and mission requirements. The mounting clip Incorporates a negative angle designed to force the holster closer to the body. 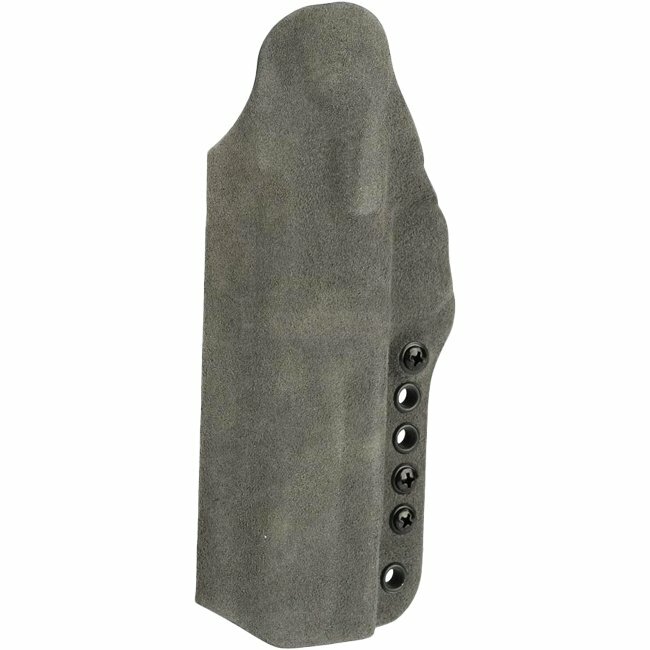 This improves the conceal-ability of the holster without increasing the bulk and supports a higher positional carry without compromise to the positional security of the holster during use. This higher position facilitates faster weapon presentations from deep cover. The mounting clip also has multiple mounting points further increasing the range of carry options and adjustments. The mounting clip opens and slides down over the belt and locks in place. The clip is actuated via a finger tab, and is flexed to open allowing quick installation or removal from the belt.